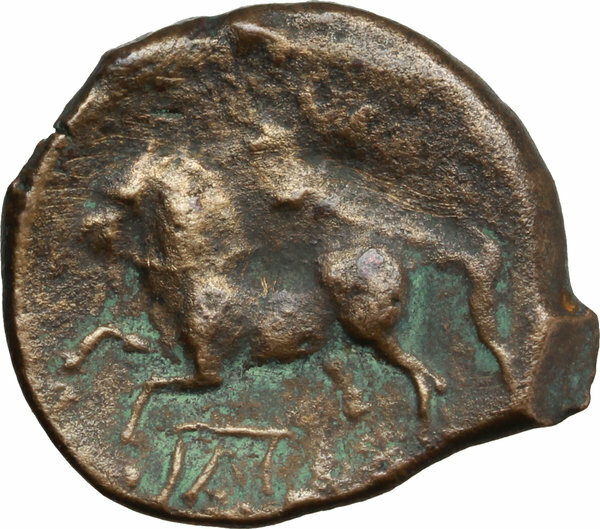 Coins 15 Greek Italy. Northern Apulia, Arpi. AE 17 mm. 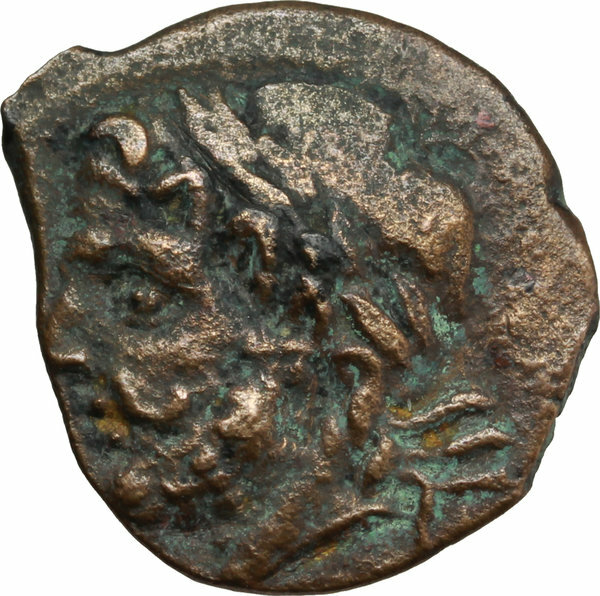 c. 325-275 BC. D/ Laureate head of Zeus left. R/ Horse prancing left; above, star; between legs, monogram. HN Italy 644 var. (horse right). SNG ANS-. AE. g. 2.63 R. Rare and nice. Reddish-brown tone. Good VF/VF.